Singularity University (SingularityU) is an organisation dedicated to the education, inspiration and empowerment of people who are open to using exponential technologies to address humanity’s grand challenges. 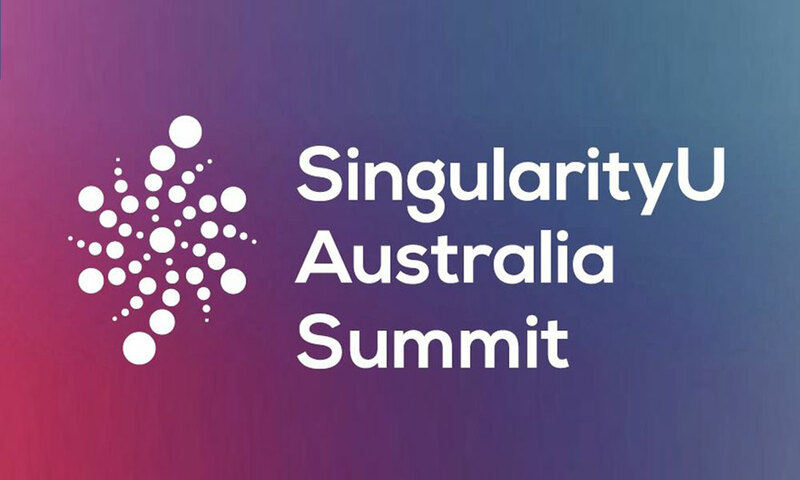 Held this week in Sydney, the 2018 SingularityU Summit provided a combination of speakers, networking and facilitated activities to help individuals and organisations think about breakthrough solutions that leverage technologies such as artificial intelligence, robotics, and digital biology. After three days at the summit, I can honestly say I’m exhausted! There have been thought-provoking, and at times challenging, insights into the futures of areas such as Transportation, Energy, Digital Biology, Medicine and Exonomics (Exponential Economics) – economic principles augmented through exponential technologies like the shift from economies of products and services to platforms, and the impact of nano-transactions within those economies. Take medicine, for example. We have the IoMT (Internet of Medical Things), including well-known wearable technology such as Fitbit to monitor vital signs both pro-actively as well as post-operative). But how about insideables – micro technologies (robots) that are swallowed or injected to deliver precise doses of medicines. Or breathables – highly sensitive devices with the ability to detect potential cancers, etc., simply by analysing a user’s breath. The possibilities seem endless. Data prep – new DIY tools make it easier tha... The latest developments in self-service analytics let business users prepare and share their data without involving IT at all. Gartner 2019 Magic Quadrant for Analytics and BI p... Gartner’s 2019 Magic Quadrant for Analytics and BI Platforms has a familiar look about it, particularly in that all-important top right corner. Binokula lets you share Power BI reports with exte... Binokula is a new cloud-based service for sharing Microsoft Power BI reports beyond your company firewall. It's simple, secure and scalable. Facial recognition needs safeguards – Micros... Microsoft calls for regulation of facial recognition, and in the meantime adopts six principles for its own use of the rapidly developing technology.